Kidney disease is a serious medical issue with an unfortunate prevalence in our society. According to the medical journal, Primary Care, chronic kidney disease (CKD) is a major health problem affecting approximately 13% of the United States population. The scientific journal, Kidney International Supplements, advises that some of the risk factors for kidney disease are high blood pressure, excessive alcohol consumption, smoking, and the use of analgesic medications. The kidneys are made to function in several ways to ensure the healthy function of your internal processes. Your kidneys are located in the middle of your back against the back muscles, with one on either side of your spine. The kidneys filter out any harmful waste and excess toxins while balancing blood pressure and essential nutrients. Keep water and essential minerals balanced in the bloodstream. Extract chemicals and waste that come from the digestion process, taking medication, and physical exertion. Activate vitamin D for healthy bones. Increase the production of red blood cells to deliver oxygen through the body. Even bodily processes like metabolic function produce waste products that are harmful for the body. Risk factors surround us and happen regularly within our own body, but with our kidneys at work we don’t have to worry about them. As mentioned earlier, some diseases can serve as a predisposition for kidney disease. According to medical journal of Renal Injury Prevention, diabetes and high blood pressure issues are the top causes of kidney disease. If you have a high blood pressure stay mindful of the possibility of kidney problems in the future. When you visit the doctor keep a close watch over your blood sugar and blood pressure levels and ask the physician if they are normal. According to medical studies, kidney disease can also be passed on through genetic issues. If your family has a history of autoimmune disease or polycystic kidney disease you are more vulnerable to kidney problems in the future. Birth defects and improper use of medication can cause kidney damage and renal disorders. Harmful habits like drinking, smoking, poor diet, and lack of exercise are also a major cause of kidney disease. The trouble with kidney disease is that many people fail to act upon the issue until the condition has become severe. The symptoms of kidney damage can be a tad general in the early phase, allowing someone to simply brush them off or associate them with some other illness. Your kidneys also have a great ability to adapt to the disease as they lose function. Detecting these signs early on is essential. If kidney problems aren’t addressed early on, then the damage can quickly become irreversible. Nobody wants to have to go through dialysis and treatment for the disease. If you show some of these symptoms or worry that you might have a susceptibility to kidney issues, consult with a physician immediately. 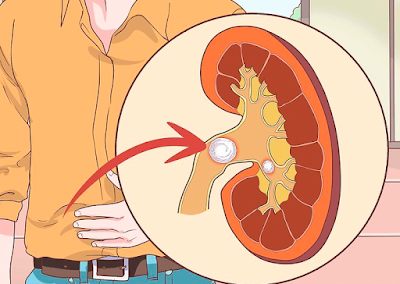 The symptoms of kidney disease are fairly general so there is a chance they could be from some other illness. It’s never too safe to be sure, and the sooner you tackle kidney disease the better. A few small changes in your everyday life can lead to a life-saving difference down the road. These five changes to your lifestyle and nutrition will reduce your risk of disease by protecting your kidneys. 1. Blood pressure plays a big part in kidney function. Keeping your blood pressure at a healthy level (around 120/80) will help reduce damage to the kidneys. 3. Get active with more exercise. It will strengthen your entire body and give you more energy. It will help you keep optimal body weight and reduce your risk of obesity, diabetes and hypertension that can damage the kidneys over time. 4. Consider supplements that provide calcium and vitamin D if you feel you don’t get enough on a daily basis. Always consult with your doctor before taking them. 1. Stay mindful of your sodium intake. Keep the salt and potassium you ingest at a moderate level. 2. Maintain a healthy nutrition. Eat meals with small amounts of cholesterol and saturated fat. 3. Maintain low protein diet. Too much protein consumption is bad for the kidneys. Ask your physician how much you should eat daily according to your body type. 4. A sufficient amount of calories is necessary for the kidneys, so starving yourself for weight loss isn’t a great idea. Kidney disease is a sobering reality that plagues many thousands of families every single year. Damage to the kidneys can’t be repaired but it can be lived with if detected early enough – though prevention is the best choice. Taking responsibility over your own health isn’t just for yourself. It’s for the friends and family you treasure and the impact your life can have on the world when it is lived to the fullest.